This fast and compact mono laser MFC® offers you high quality Printing, Copying and Scanning coupled with low running costs, and deals reliability with your daily print requirements. The Hassle-free Printing Technology and 2-in-2 ID copy function will support a productive and efficient office. With print speeds of up to 20 pages per minute, the new Brother Monochrome Laser HL-1110 printer has all the features you need for an efficient office. Reliability Meets Affordability in this perfect package offering print speeds of up to 20 pages per minute, Hassle-free Printing Technology prevents paper jams. Value meets reliability with Brothers fast 26ppm, compact HL-L2340DW wireless monochrome laser printer. Guaranteed to deliver high-quality results while offering cost-saving features such as 2-sided (duplex) and high-yield (Up to 2,600 pages) toner. 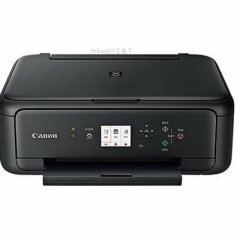 Connect mobile devices using Wi-Fi direct and print wirelessly via Brothers free app iPrint and Scan, Google cloud print and AirPrint. Up to 26ppm print speed. Automatic 2-sided (duplex) Printing. Hi-Speed USB 2.0 and Wireless Network + Wi-Fi Direct, 32MB Memory. 250 sheet lower paper tray, Apple AirPrint and Google Cloud Print. 1 Year Return To Base warranty. Citrix Presentation Server™ 4.0/ 4.5, Citrix XenApp™ 5.0, and Citrix XenDesktop™ 2.0/ 3.0/ 4.0. 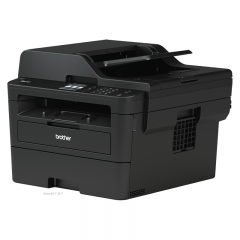 The HL-L6200DW monochrome laser printer from Brother can transform your business’ productivity in one swoop. Perfect for small workgroups within your organisation, this machine features print speeds of up to 46ppm, high-speed wired and wireless connectivity, a combined paper input of 570 sheets, automatic 2-sided printing and exceptional paper handling options. 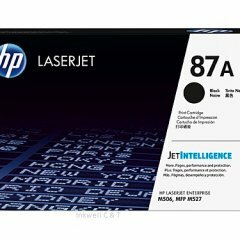 And, when you add all this to its reputation of being a reliable hard-working machine combined with new optional high-yield toner cartridges, you’ve found a way to take your business forward with the minimum spend. 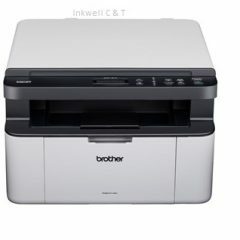 For efficient and reliable business printing it’s hard to go past Brother’s HL-L8260CDW Colour Laser Printer. Easy to operate and able to handle demanding daily workloads, the HL-L8260CDW features up to 31ppm colour and monochrome print speeds, USB, wireless and wired connectivity, a 2-line LCD screen, a 300-sheet paper input, as well as high-yield toners and optional paper trays. In a complex world, sometimes it’s best to keep things simple. And with the HL-L8260CDW, simple really works. 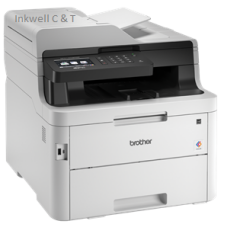 Brother’s HL-L8360CDW Printer is designed for business, offering fast and accurate printing to maximise productivity and keep you ahead of the pack. With day-in-day-out high quality colour prints, the HL-L8360CDW features prints speeds of up to 31ppm, a 6.8cm intuitive touchscreen, USB, wired and wireless connectivity, a 300-sheet paper input, as well as NFC connectivity that allows you to print by touching your phone to your printer. And, with optional paper trays and super high-yield toners, you’ve got a printer that improves your efficiency and adds to your professionalism. 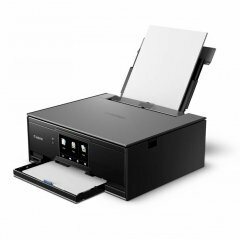 With high quality colour laser prints, the HL-L9310CDW features up to 31ppm print speeds, USB, wireless and wired connectivity, a 6.8cm touchscreen, a 300-sheet paper input, as well as NFC connectivity that allows you to print by touching your phone to your printer. Add to all that the optional paper trays and ultra high-yield toners and you’ve got a cost-effective and efficient printer that won’t let you down. This fast and compact monochrome laser Multi-Function Centre® offers you high quality Printing, Copying, Faxing and Scanning coupled with low running costs, and deals reliability with your daily print requirements. The Hassle-free Printing Technology, Automatic document feeder and 2-in-2 ID copy function will support a productive and efficient office. 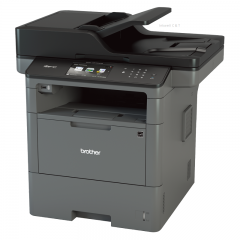 The Brother™ MFC-7240 is an affordable laser all-in-one that combines fast, high-quality monochrome printing and copying, as well as scanning and faxing into one space-saving design. 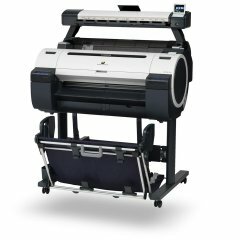 It offers flexible paper handling via an adjustable, 250-sheet capacity tray for letter or legal-size paper. Plus, a 20-page capacity automatic document feeder allows you to copy, scan or fax multi-page documents quickly and easily. Its advanced scanning capabilities allow you to scan documents to an E-mail, file, image, or OCR. 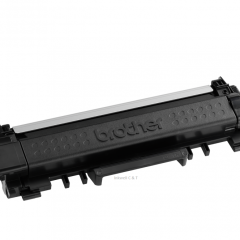 Additionally, it offers a high-yield 2,600 page replacement toner cartridge to help lower operating costs. 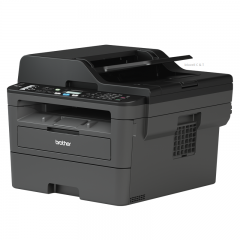 Brother’s MFC-J5730DW is the high-volume, reliable printer your office needs to run at its optimal level. With versatile paper handling from envelopes to A3 paper size, automatic 2-sided (duplex) print, copy, scan and fax, an additional 250 sheet paper tray (500 sheets total) and seamless wired and wireless connectivity, this Multi-Function offers high impact printing at low running costs. 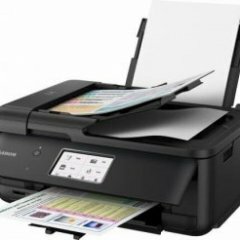 And, with a large 9.3cm LCD touchscreen, the ability to print directly from your smartphone or tablet, and a range of apps that allow you to share or scan documents wirelessly, the MFC-J5730DW is the trouble-free, robust printer that offers you complete peace of mind. 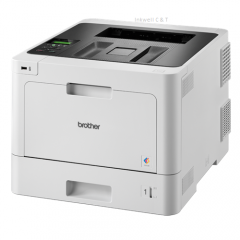 Brother’s MFC-J6930DW is a powerful business inkjet all-in-one featuring enhanced paper handling that makes it a valuable part of any working group. With automatic 2-sided (duplex) print, copy, scan and fax capability up to A3, two 250 sheet paper trays, print speeds of up to 22 PPM monochrome, and a large intuitive 9.3cm LCD touchscreen for easy navigation, this Multi-Function combines high-volume printing with lower running costs, making it a win-win situation. And, with seamless wireless, mobile and cloud connectivity – as well as NFC connectivity – the MFC-J6930DW is the true definition of an efficient, reliable business partner that always delivers. 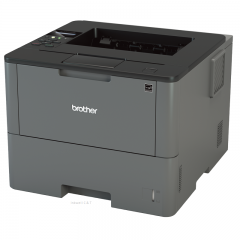 Brother’s MFC-L2730DW multi-function device smoothly handles complex documents and gets the job done quickly. With 34ppm print speed, a 6.8cm colour touchscreen and NFC connectivity that allows you to print by touching your phone to your printer, this device will effortlessly bring your digital work to life. And, with both built-in wired and wireless connectivity, as well as a 50-sheet Automatic Document Feeder, you can feel assured that all operations will run smoothly. This reliable, desk-friendly all-in-one has an up to 250-sheet capacity tray, connects with ease via wireless networking or Ethernet, and prints and copies at up to 27ppm. Print from compatible mobile devices over your wireless network. Fast printing and copying- Help improve your productivity with print and copy speeds of up to 27ppm and produce professional output at up to 2400 x 600 dpi. Flexible connectivity- Built-in wireless 802.11b/g/n and Ethernet network interfaces for sharing with multiple users on your network or connect locally to a single computer via its USB interface. 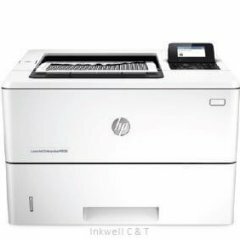 Convenient mobile device printing and scanning- Print from your mobile device via AirPrint, Google Cloud Print, Brother iPrint and Scan, Cortado Workplace and Wi-Fi Direct. 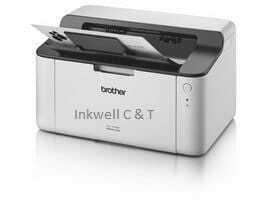 Plus, wirelessly scan to your mobile device with the Brother iPrint and Scan app. Easily produce two-sided output- Print professional two-sided documents and booklets using the automatic duplex printing feature. Also, create two-sided output from one-sided originals when copying and faxing. This feature helps to reduce paper use and saves money. This machine provides 2400dpi print quality by default, giving you professional laser quality prints out of the box without the hassles of configuration, along with a wide range of connectivity options so you can quickly and efficiently print and scan from your preferred devices. 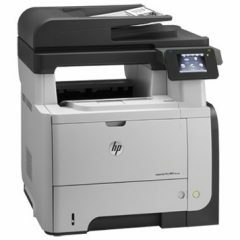 With the capability of printing and scanning from popular cloud storage services, this device is designed to meet the needs of your business today and in the future. 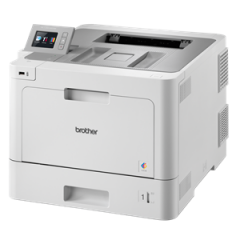 Brother’s MFC-L6700DW multifunction monochrome laser printer will make a sizeable difference to your business. It will sizeably increase productivity, performance and ultimately profit. 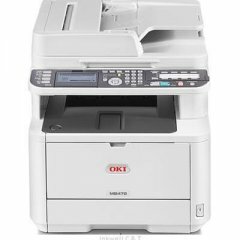 Featuring 46ppm print speed, scan, copy, fax and mobile print capabilities, USB host, wireless and gigabit wired network, a 12.3cm touchscreen, as well as optional paper tray upgrades to serve larger workgroups, this printer offers unmatched high quality, high volume printing that your team can rely on. From small businesses to larger organisations, the MFC-L6700DW will become an essential member of your team in no time. Experience increased productivity, reliability and efficiency, all from the one machine thanks to Brother’s MFC-L8900CDW Multi-Function. With a print, scan, copy and fax capability, this Multi-Function features print speeds of up to 31ppm, advanced paper handling, wireless connectivity, a 12.6cm LCD touchscreen, as well as the ability to configure 64 shortcuts that allow you to customise how you work. After only a few days on your office floor you’ll realise that your workflow is never interrupted thanks to its unique ability to meet the needs of high-volume users, day in day out. The stylish MAXIFY MB2760 is a smart addition to any small or home office. You’ll print, copy, scan and fax from the one package with effortless ease. Your first page will print out in just 6 seconds and you can deliver up to 24 black and white pages or 15 colour pages in a minute. 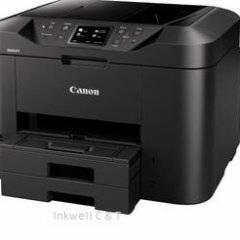 With printing costs as low as 3.6 cents per page*** using genuine Canon XL ink tanks, you’ll get more for your money. 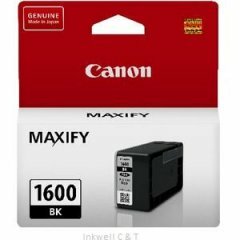 Canon MAXIFY range of priters are world famous for their fast printing speed, reliability and high quality when it comes to tackling the toughest workloads. 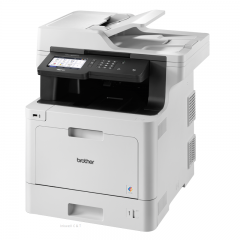 The new MB5460 MAXIFY printer contains all of the business ready features to keep up with your small office needs. If you want high speed and low printing costs for your workplace then the MAXIFY MB5460 is for you. Discover the Pixma Home Office TR8560, a printer made for convenient high quality document printing from the comfort of your own home or smart device. 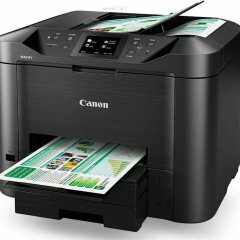 This efficient printer is loaded with features such as fax functions, duplex printing, ADF, Wi-Fi and Bluetooth connectivity, 2 way paper feeding and an intuitive touchscreen display. On top of that, it also has a SD card slot for printing your family photos with ease. Portable printing has never been so easy thanks to its rechargeable battery kit allowing you to produce quality photos and documents, anywhere at any time. Wherever you print, you will always achieve outstanding detail thanks to its minimum of 1PL ink droplets and 9,600 x 2,400 DPI resolution. Print 4″ x 6″ borderless photo lab quality images in just 51 seconds wherever you’re working. 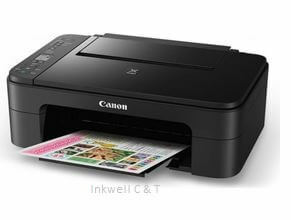 The Canon PIXMA HOME TS3160 is a versatile All-In-One printer built for all your everyday printing needs. From text-heavy documents to colour photographs, this Wi-Fi-enabled multifunction printer is housed in a compact, desk-friendly design with individual connectivity buttons for ease of use. Reduce the amount of cords around the house with wireless connectivity, which supports PIXMA Cloud Print and other applications such as Apple AirPrint, Google Cloud Print enable printing from mobile devices. Whether you are printing sharp text or beautiful photos, the PIXMA HOME TS3160 uses our FINE cartridge system to produce crisp document text and high-quality images. You can even print borderless images up to 5”x7” size. Every function is easier with the manually adjustable front panel, LCD display and simple interface. The clear buttons mean quick access to the printer’s primary functions, whether that be printing, copying or scanning. Experience a completely reimagined way of sharing memories through the Message in Print application. This application will allow you to send images with pre-written text and borders, or even embed videos or maps on it. Print scan and copy, all from this single compact document and photo printer. Produce beautiful photographs and crisp text documents – over USB cable, Wi-Fi or via Bluetooth. Canon’s FINE inkjet print technology brings convenience, cost savings and most of all, great-looking prints. Every function is easier with the manually adjustable front panel, featuring a 3 inch touchscreen and simple interface. Print, copy, scan, and cloud functions are now all accessible from a single home screen —no need to spend time scrolling to find what you need. Experience a completely reimagined way of sharing memories through the Message in Print application. This application will allow you to send images with pre-written text and borders, or even embed videos or maps on it. Print scan and copy, all from this single compact document and photo printer. Produce beautiful photographs and crisp text documents — over USB cable, Wi-Fi or via Bluetooth. Canon’s inkjet print technology and the new 5 single inks bring convenience, cost savings and great-looking prints. Customise your media and print all your precious memories onto CD using our Canon Inkjet SELPHY App perfect for gifts or simply for saving your memories. 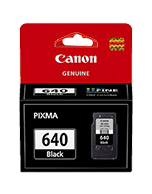 The introduction of the ‘Photo Blue’ ink means that there is improved colour development, particularly reduced graininess within the photos, ensuring high quality prints. 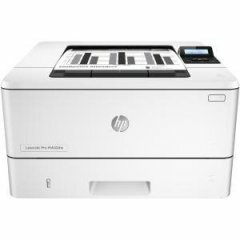 For instance, make an impact with the HP Colour LaserJet Pro MFP M280nw high-quality laser multifunction printer.Get versatile performance print, scan, copy, fax & WiFi. As well as automatic two-sided printing, and breeze through tasks with a 50-page automatic document feeder. Scan digital files directly to email, network folders, and more. Also, easily manage tasks at the device with an intuitive touchscreen. Print documents directly from a USB drive. 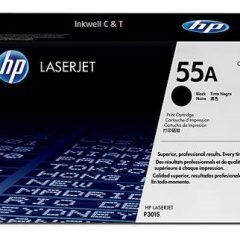 Count on high-quality colour and more pages with Original HP Toner cartridges with JetIntelligence. Get the Original HP quality you paid for with anti-fraud technology. 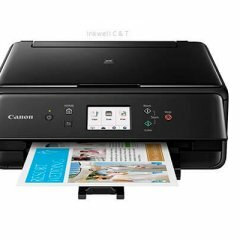 Connect your smartphone or tablet directly to your printer – and easily print without accessing a network. JetIntelligence and this printer produce more high-quality pages. HP LaserJet Pro M102w Printer; HP Black LaserJet Toner Cartridge ~700 pages; HP LaserJet Imaging Drum ~12,000 pages; GSG, Setup Poster, Support flyer; Warranty Guide, flyer, errata in some countries; Printer documentation and software on CD-ROM; Software drivers and documentation on CD-ROMs; CDs containing software and electronic documentation; Power cord USB cable. Work smarter—access, store, and print business content quickly from the 3.5-inch colour touchscreen. 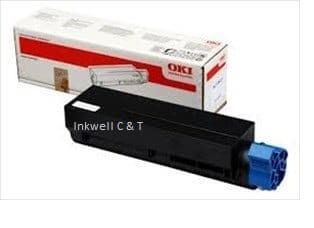 Get a fast start with preinstalled cartridges. Save even more, using optional high-capacity cartridges. 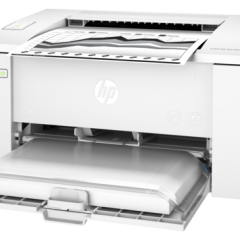 Efficiently manage this MFP, using HP Web Jetadmin to remotely monitor office printing and device status. Get started fast with HP Smart Install—no CD needed. Set up and share wirelessly throughout the office. 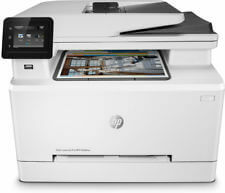 HP ePrint—print from your smartphone or tablet. Easily send print jobs wirelessly without a network. Use resources more efficiently with wireless and 10/100 Ethernet networking—easily print and share. Help save energy with HP Auto-On/Auto-Off Technology, Instant-on Copy, and Instant-on Technology. Compatible Operating Systems: Windows 8 32 bit and 64 bit, Windows 7 32 bit and 64 bit, Windows Vista 32 bit and 64 bit, Windows XP 32 bit (SP2 or higher) Driver only installs supported on: Windows 2012 Windows Server 2008 32 bit and 64 bit, Windows Server 2003 32 bit (SP3 or higher). Mac OS X v 10.6.8 and later Linpus Linux (9.4, 9.5), Red Hat Enterprise Linux 5.0 (supported with a pre-built package) SUSE Linux (10.3, 11.0, 11, 11.1, 11.2), Fedora (9, 9.0, 10, 10.0, 11.0, 11, 12, 12.0), Ubuntu (8.04, 8.04.1, 8.04.2, 8.10, 9.04, 9.10, 10.04), Debian (5.0, 5.0.1, 5.0.2, 5.0.3) (supported by the automatic installer) HPUX 11 and Solaris 8/9.